In another stunning 5-4 decision, the Supreme Court upheld the free speech rights of public workers, by finding that non-union members cannot be forced to pay fees that subsidize union messages they disagree with. The decision knocks down an Illinois state law that requires union dues be collected from all state workers for collective bargaining even if they don’t want to be apart of the union or agree with what the unions advocate for. Nearly two dozen other states have similar laws on the books. The case centered on Mark Janus, an Illinois state child support specialist, who challenged the law which forced him to pay $45 from each paycheck to the American Federation of State, County and Municipal Employees (AFSCME) Council 31. Janus objected to the fees being used to support union messages that he opposed. Unions argue that the fees are necessary to prevent the problem of free riders—employees who happily receive raises, benefits, and job security from a union contract without paying the costs of union negotiation and activity. Five justices overturned 41 years of precedent set by a 1977 case (Abood v. Detroit Board of Education) that cleared the way for unions to collect fees from non-members on the grounds that they had to pay their fair share. 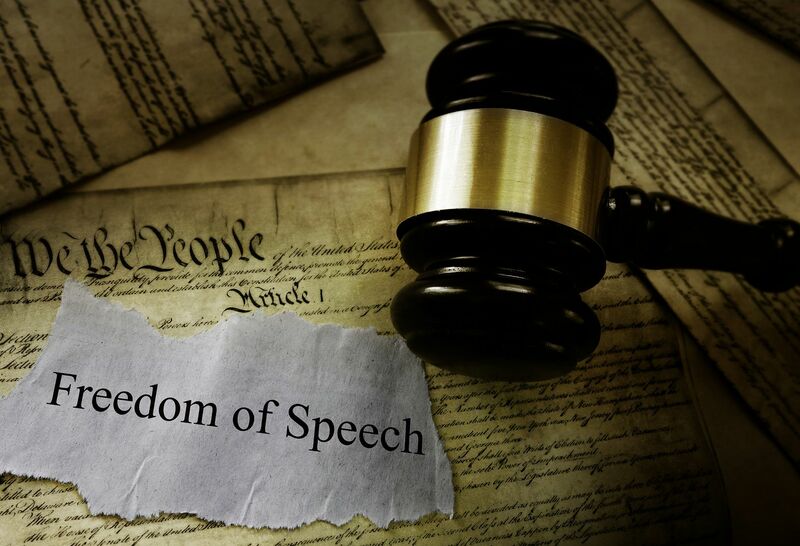 Fundamental free speech rights are at stake. Abood was poorly reasoned. It has led to practical problems and abuse. It is inconsistent with other First Amendment cases and has been undermined by more recent decisions. Developments since Abood was handed down have shed new light on the issue of agency fees, and no reliance interests on the part of public-sector unions are sufficient to justify the perpetuation of the free speech violations that Abood has countenanced for the past 41 years. The First Amendment is violated when money is taken from nonconsenting employees for a public-sector union; employees must choose to support the union before anything is taken from them. There is no sugarcoating today’s opinion. The majority overthrows a decision entrenched in this Nation’s law— and in its economic life—for over 40 years. As a result, it prevents the American people, acting through their state and local officials, from making important choices about workplace governance. And it does so by weaponizing the First Amendment, in a way that unleashes judges, now and in the future, to intervene in economic and regulatory policy. Yesterday’s decision strikes a major blow to unions. Public unions were one of the last big strongholds for unions, which have withered from the private workforce. According to the Bureau of Labor Statistics, over one-third of public workers are unionized compared to just 6.5 percent of private sector workers. The impact of the ruling is likely to stretch far beyond the workplace, sapping resources from unions such as the American Federation of State, County and Municipal Employees and the National Education Association that have provided funds, resources and activists largely in support of Democratic candidates. In the 2016 election cycle, public-sector unions spent $64.6 million on political activities, and 90% of that went to Democrats, according to the Center for Responsive Politics. The largest spenders were the nation’s two biggest teachers’ unions and Afscme. We celebrate this tremendous victory for the First Amendment rights some 5 million public servants in 23 states. They will be freed from paying union fees as a condition to work. The government cannot force employees to finance political speech with which they disagree. Learn more about this case in our Policy Focus: The Janus Case: Public Union Dues.